We offer a competitive referral rate to companies or individuals who are interested in referring new business to JSA. For more information on our referral partner program or to join, email [email protected]. 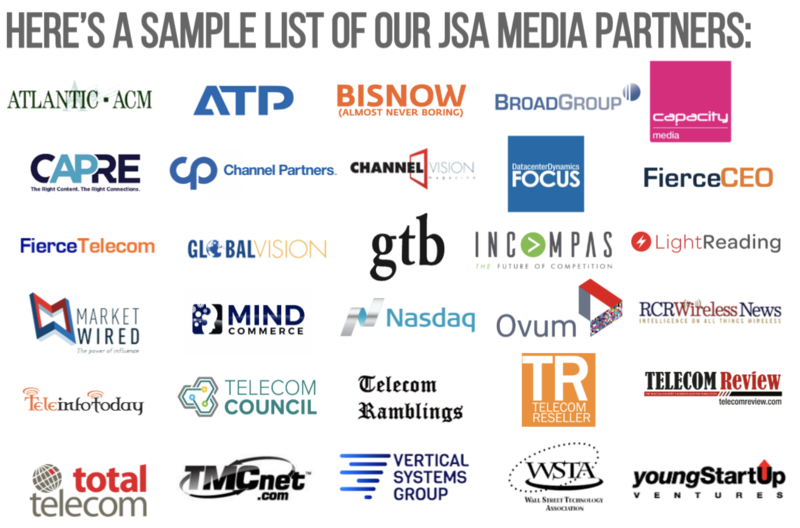 JSA partners with leading industry media organizations and trade show organizers to offer increased branding opportunities to our clients. Our partnership program ensures that we are up-to-date on the latest editorial calendars and necessary press requirements, to keep our clients in the headlines. JSA Technology Partners are our “go to” companies, who offer JSA clients reliable services at competitive prices. Our Technology Partners provide video and audio conferencing, fast, quality printing, promotional products, industry-specific social network sites and more.